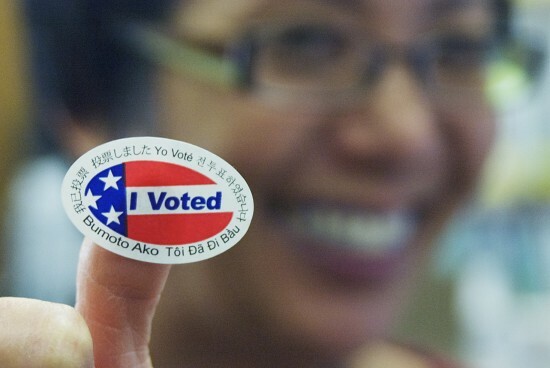 WASHINGTON —While the majority of Asian Americans were not asked by any campaign, political party or community organization to vote or to register to vote, their party affiliation is split — and their votes were largely up for grabs this cycle, a new poll shows. Only 41 percent of Asian American voters consider themselves to be Democrats, according to the National Coalition for Asian Pacific American Community Development’s Asian American Election Eve Poll. Yet an even lower 14 percent consider themselves to be Republican and 29 percent consider themselves independent. Fifty-one percent of Asian American voters reported that they were not contacted by GOTV (get-out-the-vote) efforts; however, of those contacted, one-third was contacted by community organizations. With minimal party outreach to this critical demographic, community organizations have taken on an inflated role in voter registration and education efforts among the overlooked Asian American community. Asian Americans singled out the economy and health care as the most important issues of the election, with 58 percent reporting “fix the economy/create more jobs” as the top issue that politicians must address. Asian American voters also overwhelmingly supported increasing housing affordability, with nearly 70 percent strongly or somewhat supporting a federal program to build new or rehab existing homes that low-income people can afford to rent. Twenty-six percent of Asian American voters favored increasing taxes on the wealthy in order to reduce the deficit, while 45 percent would like to combine these tax hikes with spending cuts — but do not think spending cuts alone will solve the budget deficit. Although Asian American voters do not solidly identify with either party, they did largely agree on which candidate is more favorable. While 47 percent of Asian American voters said they believe Barack Obama truly cares about them, only 14 percent believe Mitt Romney does.